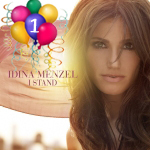 One year ago today, Idina’s third solo album, I Stand was released. It’s been a crazy, exciting year for Idina and us fans – a release party at Virgin Megastore in New York City, countless television appearances, more than 40 concerts in North America and the UK, Chess, The National Memorial Day Concert, The Tony Awards, Nero, campaigning for President Obama, Andrew Lloyd Webber’s 60th Birthday Celebration, the Macy’s Thanksgiving Day Parade, The Kennedy Center Honors, her first televised solo concert, and the list just goes on! Whew!! 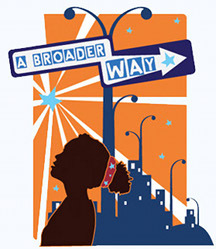 So, what was everyone’s favorite event of the past year? I think my personal favorite would be the Virgin Megastore release party. I waited in line for hours to meet and watch Idina debut her new album. It was so fun!